"Cooperation between the EU and Korea"
at Millennium Hilton Seoul on Dec. 8, 2005. New Ambassador to Seoul Philippe Thiebaud of France delivered a speech over luncheon under the title of "Cooperation between the E.U. and Korea." The luncheon meeting began at noon in Coral Room on the thrid floor of the Millennium Hilton Seoul. Ambassador of France to the Republic of Korea Philippe Thiébaud delivered a speech on "Cooperation between the E.U. and Korea" as a prestigious guest for this event. Amb. 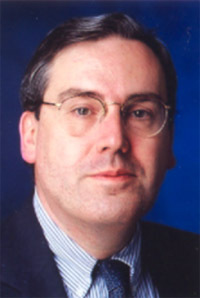 Philippe Thiébaud, started his dury as France's top envoy in Seoul in October 2005. Executive Vice-President for Strategy and International Affairs at the French Atomic Energy Commission (CEA). 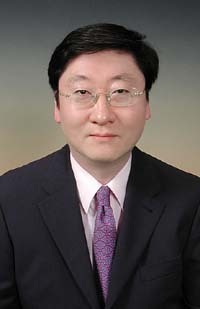 He talked about cooperation between the European Union and Korea. In particular, the top French envoy explained on the rapid expansion of bilateral trade volumn between EU and South Korea in recent years. South Korea and EU in promoting mutual investment during the speech he delivered in English.